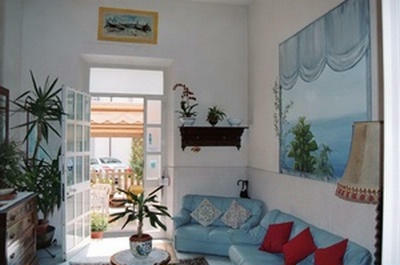 The HOTEL BELVEDERE is found 50 meters away from the sea and from the splendid promenade of Viareggio. Behind the hotel the park pineta of the city is found, splendid naturalistic oasis with funs and relaxations for all the people. The hotel is open for the whole year. The hotel is to family condition. 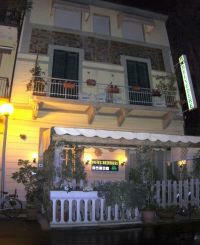 The hotel is of small dimensions, situated in a historical building, and she offers calm and privacy. The rooms are comforting and ample, with bath to the inside, tv-color, telephone and connection wireless for internet. To the clients of the hotel is given by us the maximum help to spend some beautiful vacations, with suggestions and indications to visit to the good way Tuscany and his historical and artistic cities. Viareggio is found in a geographical position where possible to reach in little time with the train or the bus or the automobile, Florence, Lucca, Pisa, Siena, Volterra, San Gimignano, the Chianti, the caves of the marble of Carrara, the Cinqueterres and all the most famous destinations in Tuscany. Restaurant, Pets allowed, wi-fi hotel free access, Bar, 24 hour Front Desk, Newspapers, Terrace, Non Smoking Rooms, Continental Breakfast, Family Rooms, Express checkin/checkout, Heating. Room-service, Breakfast in the room, Internet services, Bicycle rent, Packed Lunches, Fax/photo-copy. TODAY VIAREGGIO IS NOT JUST THE SEA AND THE SUMMER SEASON. Not to be overlooked is the fact of its closeness to Tuscan cities of art , from Lucca, Pisa, Florence and Siena to San Gimignano and Volterra, all of which can be reached in a very short time. and has a rich and diversified natural patrimony.
. THE APUAN ALPS rise immediately behind the coast. as well as lovers of adventurous mountain climbing. it is extremely enjoable for families with small children. dearest to the Maestro’s heart and a source of constant inspiration to him. Restaurant, Pets allowed, Bar, 24 hour Front Desk, Newspapers, Terrace, Non Smoking Rooms, Continental Breakfast, Family Rooms, Express checkin/checkout, Heating. We speak English, French, Dutch, German. Internet corner, wireless or power-lan in the room. Quadruple room wi-fi free , tv-color, telephone, Internet logon, fan on the ceiling, heating, linen, soap. Bath with shower in room. Half board ;you can eat lunch and dinner in the restaurant, with a menu of fish and meat, Tuscan cuisine, national, with a good selection of Tuscan wines and national. Children pay 50%. .
Full board; you can eat lunch and dinner in the restaurant, with a menu of fish and meat, Tuscan cuisine, national, with a good selection of Tuscan wines and national. Children pay 50%. All inclusive; you can eat lunch and dinner in the restaurant, with a menu of fish and meat, Tuscan cuisine, national, with a good selection of Tuscan wines and national. wine and water and other drinks, including in the price Children pay 50%. friendly beach, 50 meters from the hotel, with beach umbrella and deck chairs, children's play area, a restaurant overlooking the sea. HOTEL BELVEDERE – GETTING THERE. FROM THE AIRPORT IN PISA : ENTER THE MOTORWAY A/12, DIRECTION GENOVA. EXIT AT THE VIAREGGIO/CAMAIORE TOLL STATION. NOW AT 3° SMALL-CROSS TURN LEFT AND YOU FIND HOTEL BELVEDERE. Rail station Viareggio. Airport Pisa (22 Km). You can find the "Bus Stop" from and for Airport of Pisa "San Giusto" only 20 meters from the hotel.